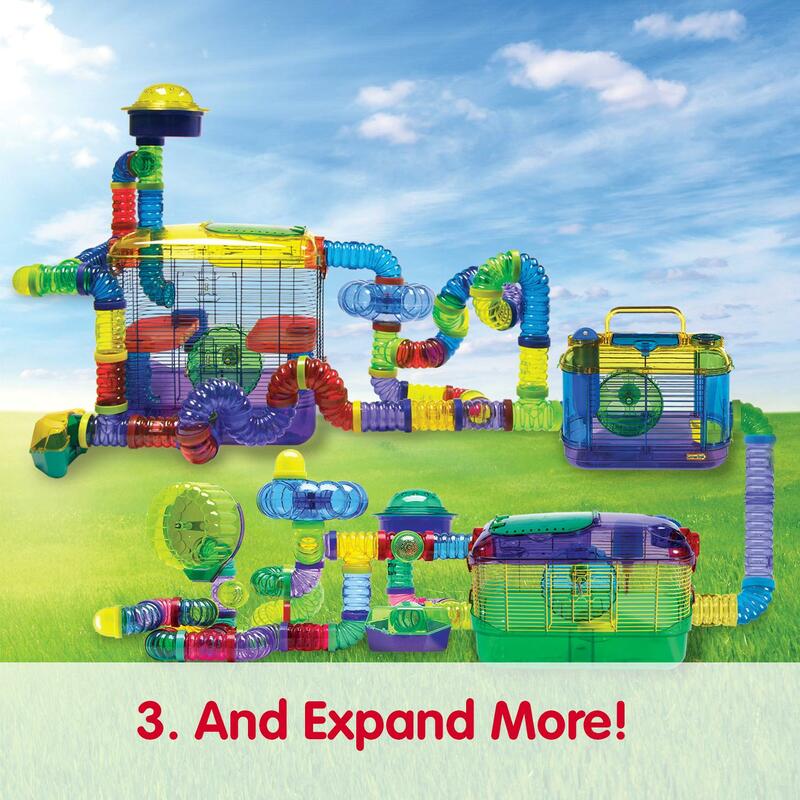 Fun-nel Tube Value Packs offer an easy way to expand any CritterTrail Habitat! 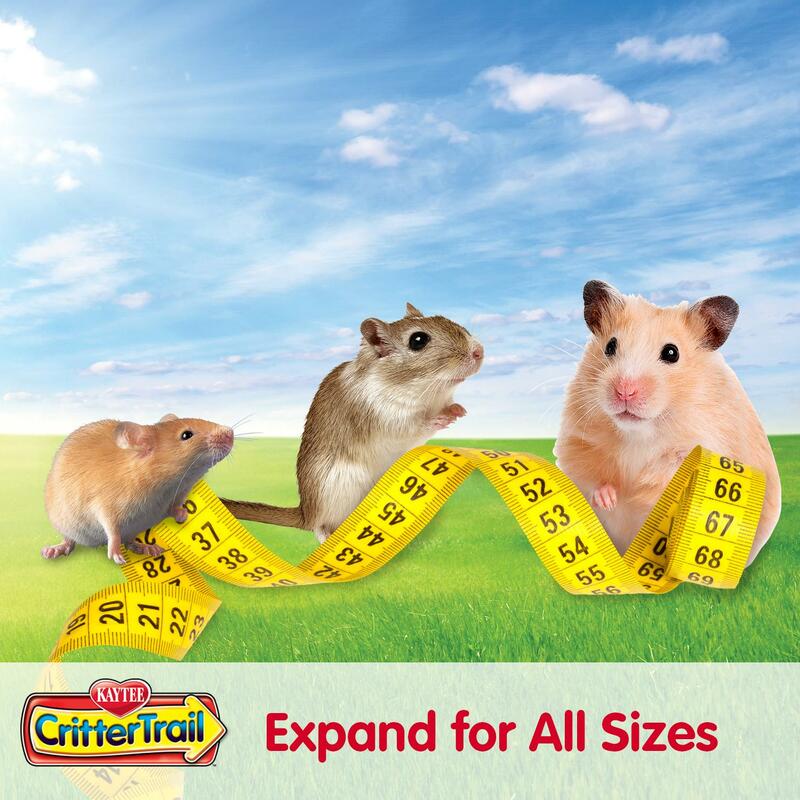 The universally connectable packs are designed to extend a safe area for curious critters to explore and to promote exercise and healthy habits. 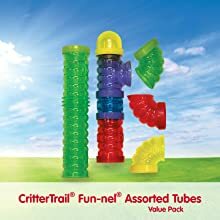 If you can imagine it, you can build it with CritterTrail fun-nels. Sold separately, the tubes are available in a variety of colors, shapes and sizes so you can create trails of fun-nels for your pet to enjoy, just like they would in the wild. 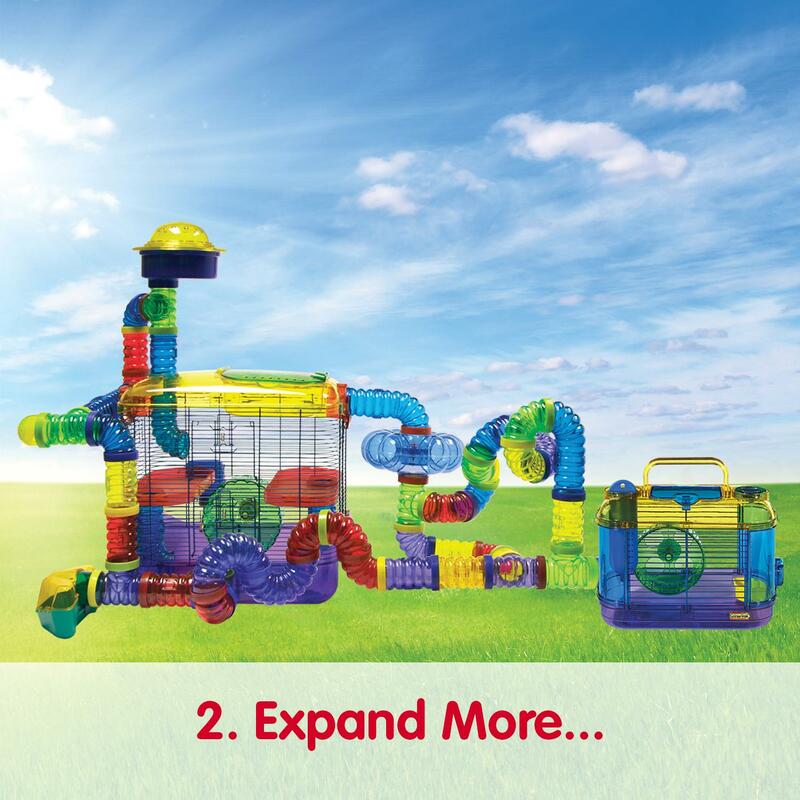 We suggest you start with a habitat that has everything you need to make your pet feel right at home. 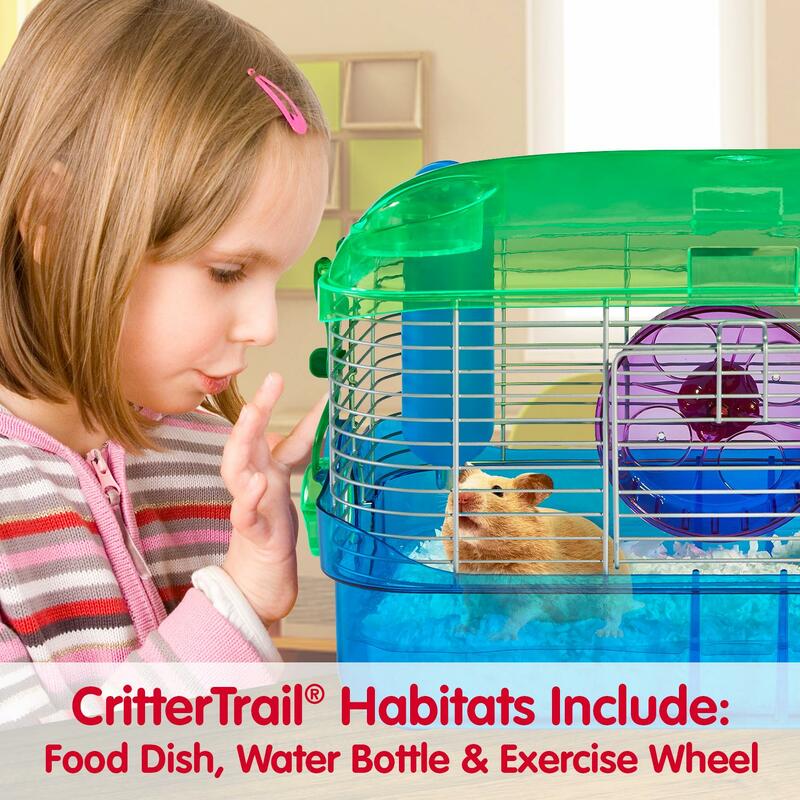 Each of our CritterTrail Habitats include a food dish, water bottle, and exercise wheel. 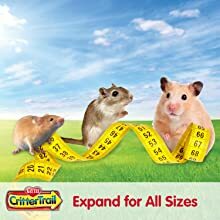 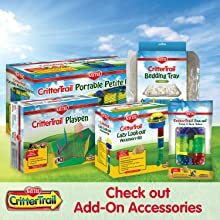 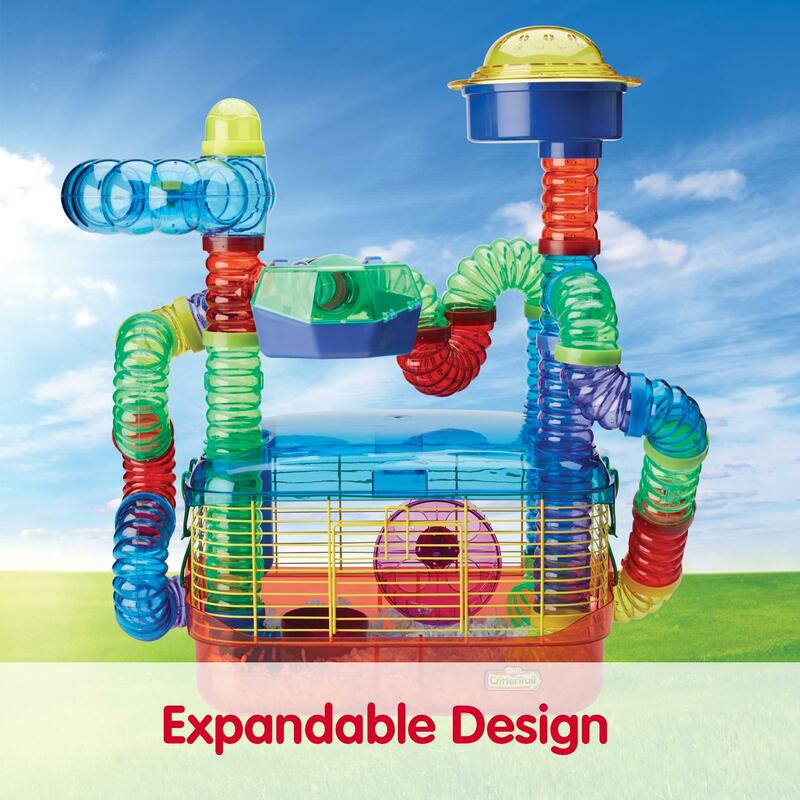 All CritterTrail habitats are expandable and designed to connect to other CritterTrail habitats and fun-nel tube accessories, creating an unlimited amount of living space for your pet hamster, gerbil, or mouse. 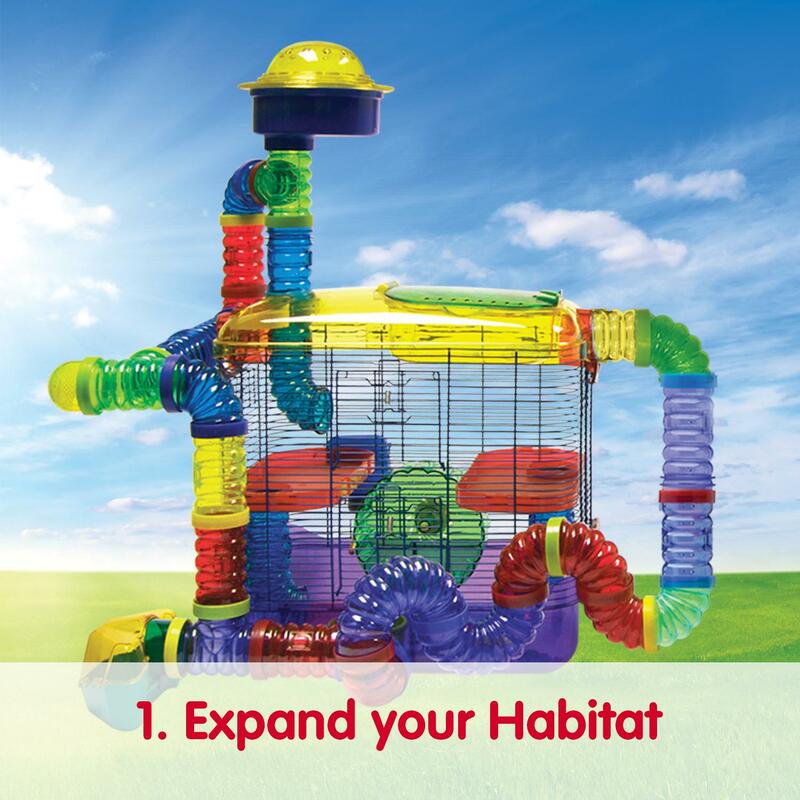 Start with the right habitat that will be comfortable for your pet. 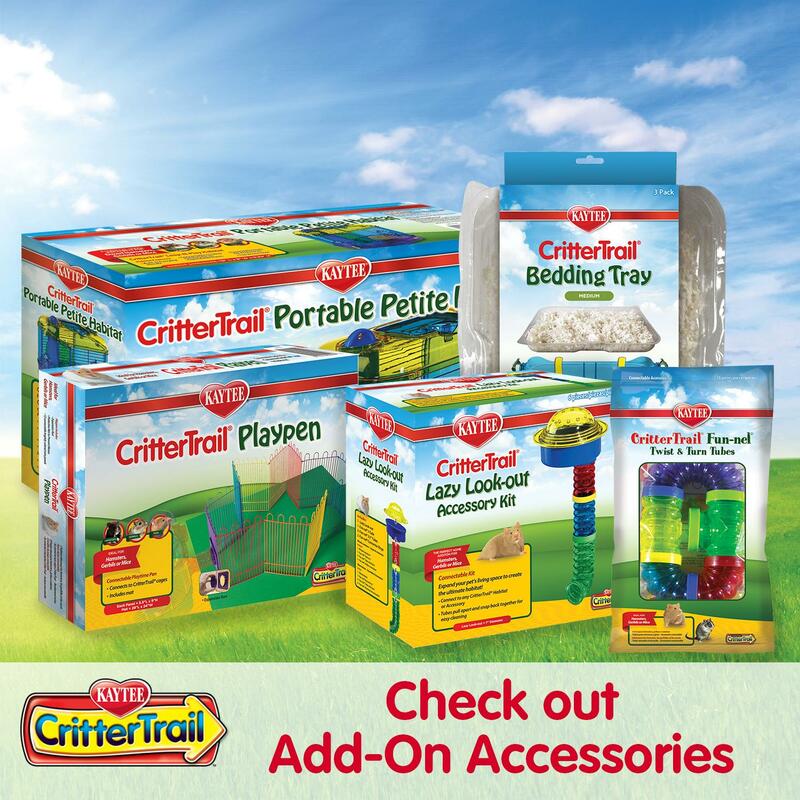 See what other CritterTrail accessories are available to add-on to your habitat. Imagine all the possibilities with our Kaytee CritterTrail product line that is connectable and customizable. 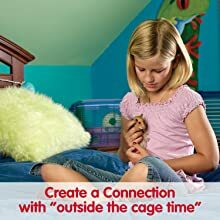 Remember you are in control of how much space you provide for your pet. 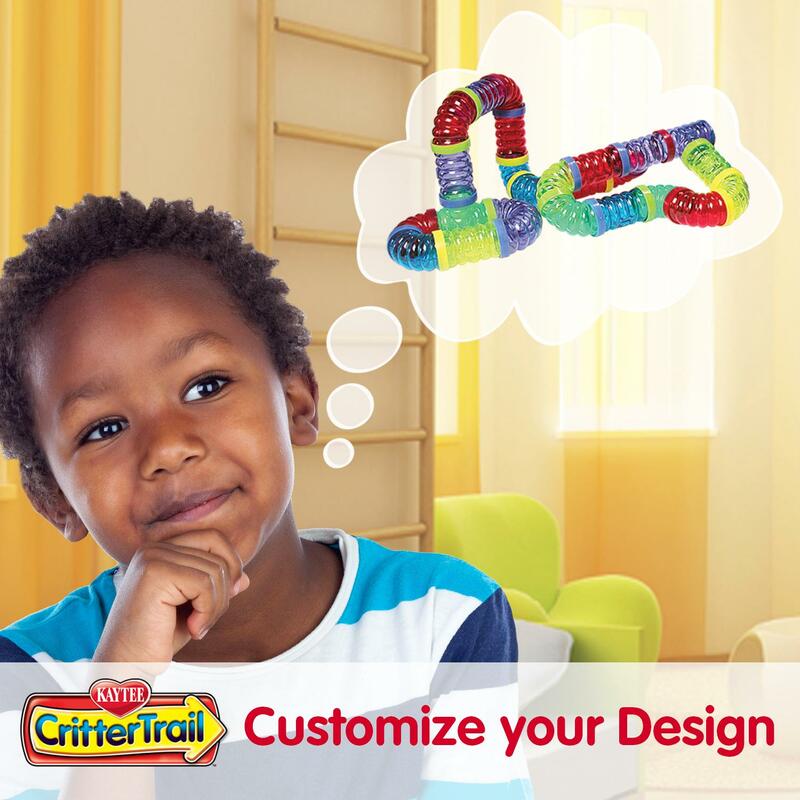 The CritterTrail line has been designed to allow you to create your own design. 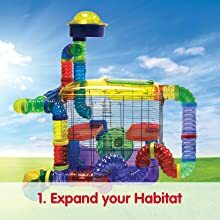 Maybe an environment similar to how hamsters would live in the wild; with lots of tunnels and living areas. Possibly connect two CritterTrail habitats together if your pet likes to burrow and add some extra hideouts like a Kaytee Igloo. 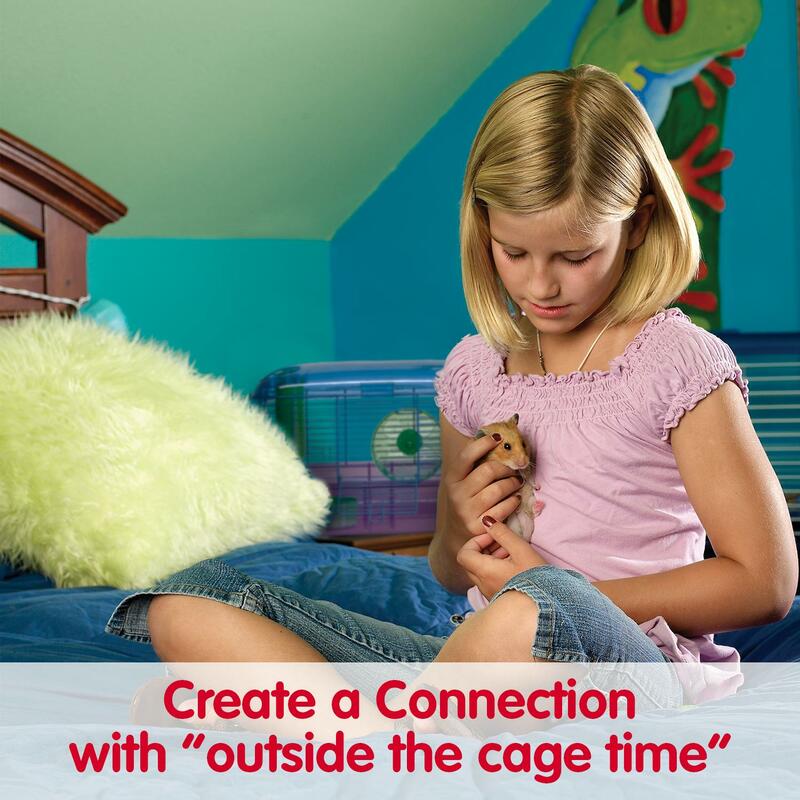 Remember to give your pet plenty of 'outside the cage time' to create a special bond with you.